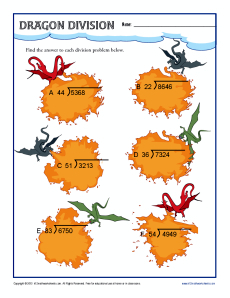 Your student will be on fire with division in this cool division worksheet! It features 4-digit dividends and 2-digit divisors. Use it for practicing Common Core Standards for 5th grade Numbers and Operations in Base Ten. Other students may also find it helpful.